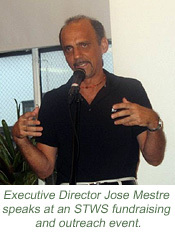 Jose Mestre, LMSW – Cofounder/Executive Director Jose is a writer and editor. For many years Jose was one of the principal fundraisers for The PRASAD Project, an international nonprofit whose mission is to uplift the lives of those in need in India, Mexico and here in the U.S. Inspired by his work with the 9/11 community, Jose went back to school to get an MSW. Besides his work with STWS, he is now a clinical social worker /family counselor working with children, adolescents and their families. Rosemary Nulty – Cofounder For many years Rosemary was Vice President for Advertising for Federated Dept. Stores. She is also a writer, and having traveled to India on various occasions, is STWS' most knowledgeable member on Ayurveda, the ancient medical science which produced our herbal formulas. Lt. Paul Cinquemani, FDNY (Retired) Paul was a member of the FDNY for 33 years, retiring in 1994. 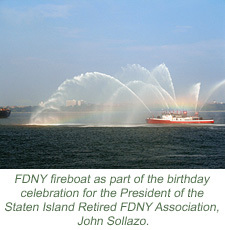 Like many retired FDNY he volunteered to serve after the events of September 11th. Paul is very active in Democratic politics. Being a STWS program participant whose health has improved from being on the herbal formulas, he is a passionate advocate for STWS. Jennifer Spano Jennifer was a supervisor at Ground Zero from the beginning of the disaster until the relief site closed in June 2002. She has been an STWS participant for 8.5 years, resulting in significantly improved health. She is an interdisciplinary academic and entrepreneur who volunteers doing outreach and administrative work for STWS.